It has been 10 years since The Walkmen debuted as a proper album-backed band with 2002’s “Everyone Who Pretended to Like Me Is Gone.” In the decade that has passed, the East Coast-based quintet has accomplished its fair share of things, including following up the debut with six more full-lengths. However, this year was the first time The Walkmen have played Berlin in 10 years, since the group unintentionally made a name for itself, emerging as leaders of a new indie rock scene in New York City. In fact, right at the outset, one member had to drop off the tour for family-related issues, leaving the band as a foursome. A quick scramble uncovered a friend who could fill in at the initial festival dates, but the whole band was required to be flexible, not only with instrumentation, but also set lengths and sound expectations. Even so, all those things are somewhat old hat for the group, which has weathered its fair share of other storms in the 12 years of existence. “We’ve been spat out of the bottom of the music industry like three times,” member Peter Bauer said in June, while seated on the lawn in front of Volksbühne, hours before the group’s sold out Berlin comeback show at Roter Salon. He was referencing the fickleness and unpredictability of band life, yet at the same time, he said experiences like that have taught the members to keep their egos in check, pointing to the initial arrogance of the members in the beginning years, when The Walkmen had hopes of being the next Rolling Stones. And he’s right. Bauer–along with bandmates Hamilton Leithauser, Paul Maroon, Walter Martin, and Matthew Barrick–have come a long way since those early eager days, a path which brought them to this year’s “Heaven,” a wandering collection of 13 songs boasting warm melodies and earnest lyrical complexity. Although it’s generally the job of musicians to say their newest album is their best, whether or not they believe it, Bauer shared that “Heaven” is high up on his list; although “You & Me” is his personal favourite, he said “Heaven” is quite possibly the band’s best work. 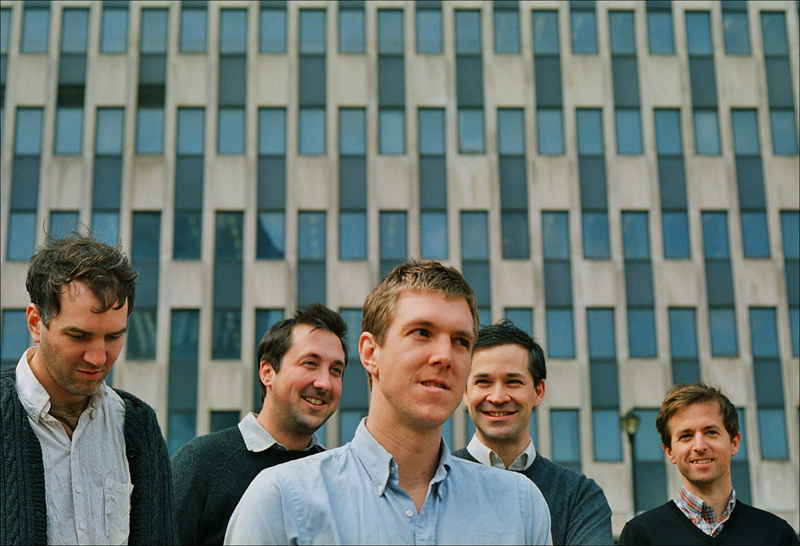 What that feeling comes down to is difficult to pinpoint, although many will suggest it has something to do with the fact that The Walkmen took on a proper producer–-from start to finish–for the first time with “Heaven.” And admittedly, Bauer shared that it did make for a new take on the standard recording process, which is what the members were hoping for. Yet The Walkmen style dictates that the five won’t take this same path again, at least immediately, favoring the route of new ideas and ways of recording instead, or maybe even a return to the basics. Instead, he hinted at something more immediate and intimate, like an eight-track experimental recording with a live sort of feeling. This would not only change up the sound, but also throw off the predictability of the “every two years” cycle of putting out albums that most bands, including The Walkmen, easily have fallen victim to. This entry was posted in Interview and tagged American, Feature, Interview, The Walkmen. Bookmark the permalink.